In a breakthrough for President Trump, officials from the United States, Canada, and Mexico finally reached an agreement to replace NAFTA ahead of the President’s self-imposed deadline for October 1st. Following an intense negotiation between the US and Canadian delegations that began after the US and Mexico announced a preliminary bilateral agreement back in late August, the two sides ultimately were able to overcome their differences and salvage a deal. The new agreement, known as the United States-Mexico-Canada Agreement, or USMCA, revises a host of issues from IP protections to labor and environmental rights. The largest impact, however, will likely be felt in the automotive sector, where regional content requirements and provisions supporting high wage labor have been increased. Perhaps more importantly for the auto sector in the short run, the USMCA averts Trump’s threat of costly tariffs on Canadian auto exports, with the President promising both countries effective exemptions from any future Section 232 tariffs with suggested export quotas set well above current production levels. Most of the USMCA’s effects will not be immediately felt, however. The majority of provisions will not take effect until 2020 in order to allow time for each government to sign and ratify the new legislation, leaving the current NAFTA agreement in place until that time. High Wage Labor Requirements: Beginning in 2020, 30% of a car or truck’s parts must be made in factories paying a minimum wage of $16 per hour and this number will rise to 40% for cars in 2023. Opening of Canadian Dairy Market: In last minute negotiations, Canada relented in the face of American pressure and agreed to give greater market access to American dairy producers for specific products such as dairy concentrates, powders and formulas, although the Canadian dairy sector’s overarching supply management system will remain intact. Retention of Chapter 19: While US negotiators won partial access to the Canadian dairy market, Canadian interests prevailed on the issue of dispute resolution and Trump ultimately agreed to drop his demands to exclude Chapter 19 of NAFTA. The provision establishes panels made up of representatives from the three nations to arbitrate challenges to anti-dumping and countervailing duties enacted by member countries against one another. Sunset Clause: After demanding a five-year sunset clause, US negotiators gave in to Canadian and Mexican resistance and agreed to a 16-year horizon with a review period set for every six years into the agreement, at which point the three parties will re-evaluate the agreement before deciding to extend USMCA. Other: As mentioned earlier, the new agreement also strengthens environmental and labor rights—especially with regard to Mexico—and establishes greater IP protections to suit the needs of modern businesses such as biotech and web-based companies. It also extends the “market protection” period for US Pharma companies selling new drugs in Canada from eight to ten years and does away with much of Chapter 11, which enabled investors in a variety of industries to resolve disputes with NAFTA member governments over rule changes (Chapter 11 protections still remain for key industries such as energy and telecom). Notably, the new deal leaves untouched US Section 232 tariffs on steel and aluminum for Canada and Mexico, a key point of frustration for Canadian and Mexican leadership. In a recent interview, US Secretary of Commerce Wilbur Ross stated that the Section 232 steel and aluminum tariffs were related to matters of US national security and were on a separate negotiating track from any of the NAFTA provisions. Nevertheless, in a side letter as part of the new trade deal, President Trump opened the door to negotiations on 232 tariffs for the next sixty days and hinted at the potential for quota-based alternatives. 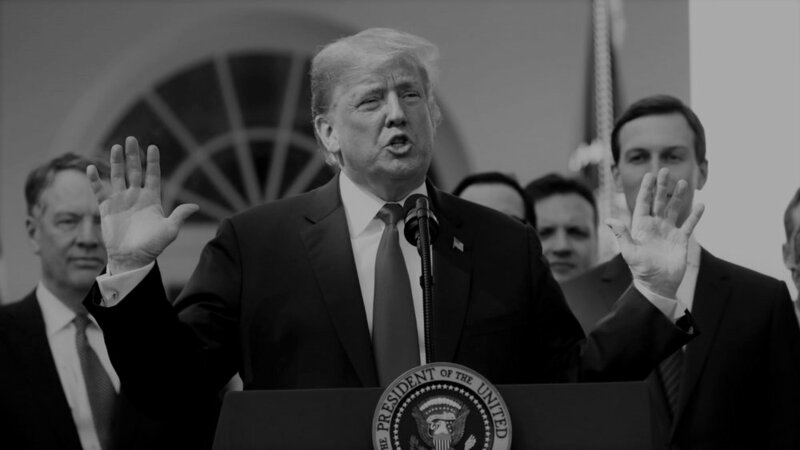 Canadian and Mexican leaders are expected to push hard over the next two months to get the tariffs lifted as their window for leverage will close when USMCA is signed.